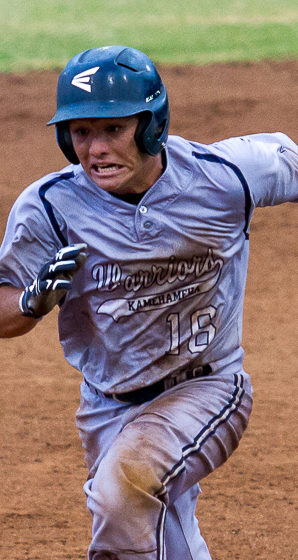 Player of the Year: Sam Nakata, Kauai, 1B, Sr. If Kauai coach Hank Ibia had his way, he would have 100 Sam Nakatas on his team. 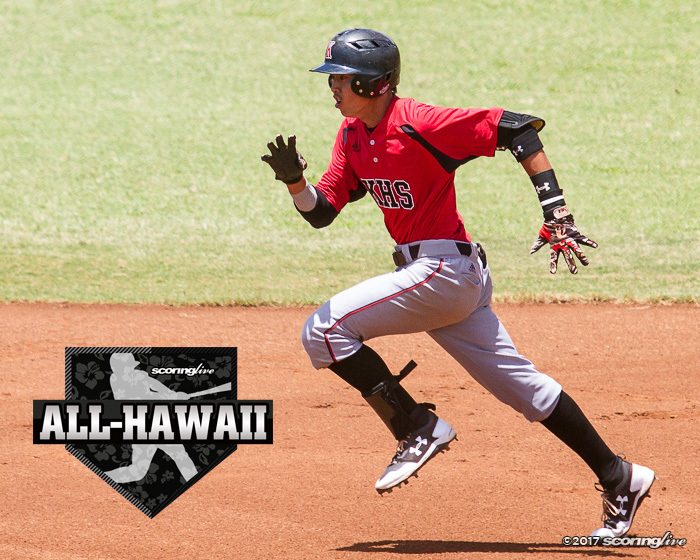 Nakata, a senior first baseman, led the Red Raiders in more ways than one to help the Kauai baseball team capture its third Division II state title over Damien last April and is the ScoringLive All-Hawaii Division II Player of the Year. He was a consistent presence at the plate, a steady glove in the field and a consummate example to his teammates. "He does everything right for the team, he's good with the younger guys and he's just a great guy to have," said Ibia. "If I had more guys like him, I think we would be even more successful at Kauai High. Overall great kid." 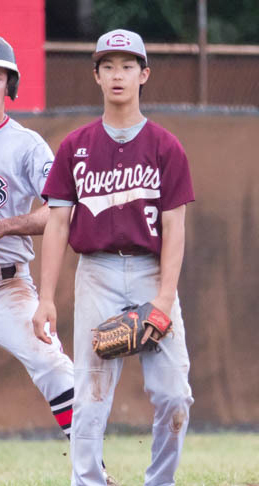 Nakata, a four-year varsity player, batted third in the lineup and led the team in all four major offensive categories: hits, runs scored, RBIs and batting average. 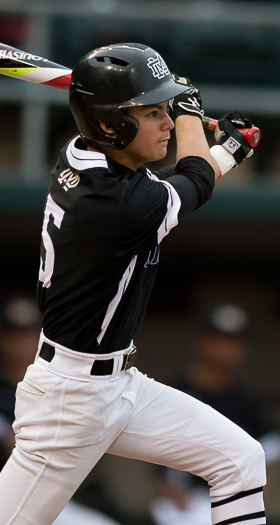 The 6-foot senior registered 25 hits, scored 23 runs, had 13 RBIs and batted 0.490 for the season. "When we ended up playing them in the championship game we was cautious of him," said Damien coach Timo Donahue. "Basically we kind of altered what we did during that championship game to try not let him beat us." 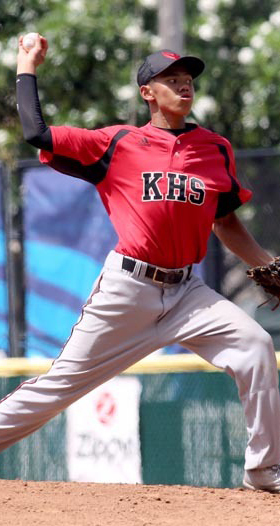 Unfortunately for the Monarchs, Nakata still made an impact in the title game. 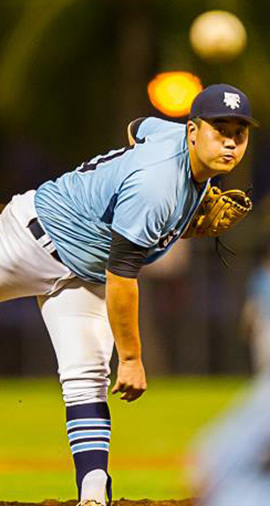 Nakata drew an intentional base on balls in his final plate appearance of the season and would end up scoring the game-winning run in a 5-4 decision. 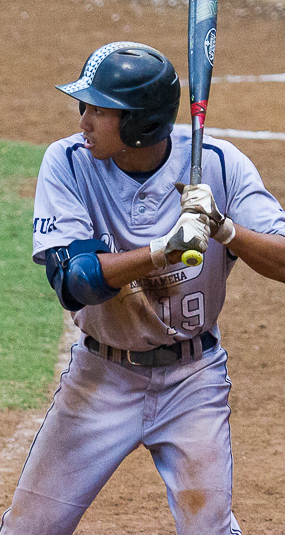 Nakata's consistency at the plate didn't just affect opposing coaches' strategy, it also altered Ibia's offensive philosophy. 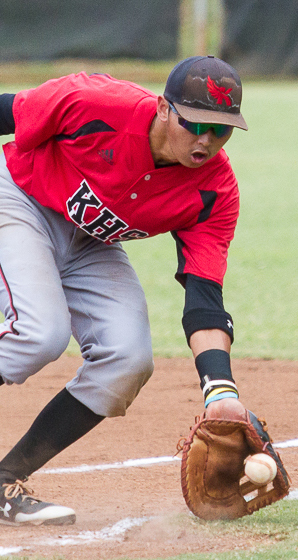 The long time Kauai coach generally makes his three-hole hitter bunt runners over if they're at first, but Nakata nearly had free reign to make a play with his bat. "He took that bunting situation out of my hands all year long because he was very consistent," said Ibia. "He can do whatever he needs to do with the ball. Anytime he has to go the right side, he can go to the right, and anytime he has to bomb one he does. Just very consistent, great eyes, get hands. He's just one ball hitter." 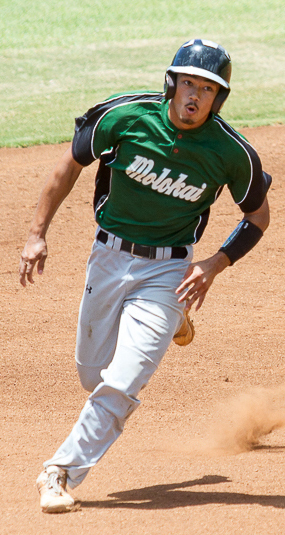 The same consistency at the plate extends to Nakata's fielding at first base. 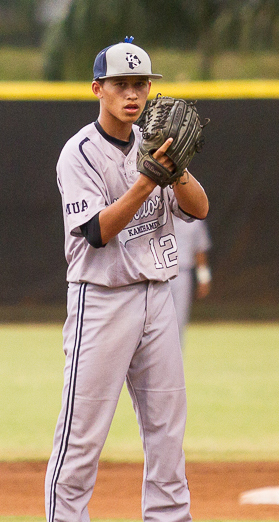 The numbers do not lie as the Kauai senior had zero errors when the season was over. "He's one of the guys that stays after practice, that's why he doesn't make much errors," said Ibia. "Defensive wise, he's very tough and very consistent." 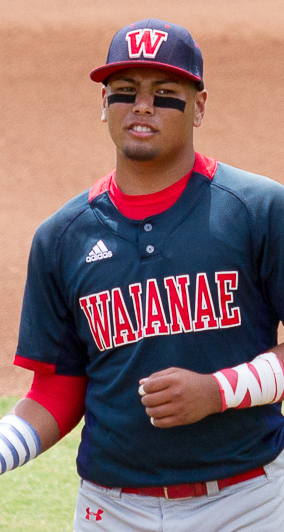 On top of what Nakata does in the field and at the plate, he led a young Kauai team that started five sophomores by his example in practice and off the field. "His personality takes him to where he is today, he's very humble," Ibia said on Nakata. "He doesn't show too much emotion and he's just doing things. He's the guy that shows everyone everything on the field and he's one of my captains. Overall he is a great kid and very reliable." 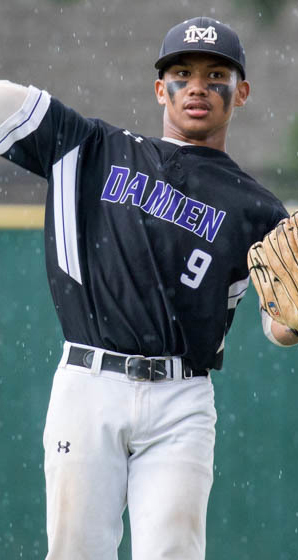 The Damien Monarchs baseball team's accomplishments speak for themselves. Damien captured its first Interscholastic League of Honolulu Division II title, made its first state tournament appearance and advanced all the way to the state title game where it nearly won it all. For the Monarchs' efforts, third-year Damien coach Timo Donahue was selected as the ScoringLive All-Hawaii Division II Coach of the Year. Achieving what Damien (17-6) did was no easy task however. The Monarchs had an up-and-down regular season before peaking late with a 10-game win streak, with five of those wins coming against ILH regular season champion Saint Francis. 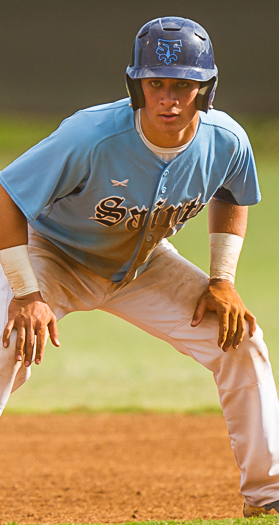 "The job that Timo did this year is certainly respectable," said Saint Francis coach Kip Akana. "Changing the culture of any program in any sport is challenging and painstaking, but as you can see, Timo has accomplished that with his program. His team competes from beginning to end. 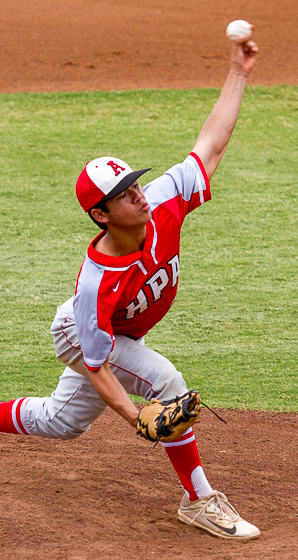 "We were in a dominant position in the ILH race, and to have his team bear down and believe that they could overcome the odds and beat us in the ILH tournament and in the two extra games to win the ILH is commendable."